It was a WILD weekend in the NFL to start out 2018, we saw games that were GREAT and also saw some games that were DUDS. After the dust has settled on Wild Card weekend in the NFL, there are only EIGHT teams that have a chance to WIN Super Bowl 52. 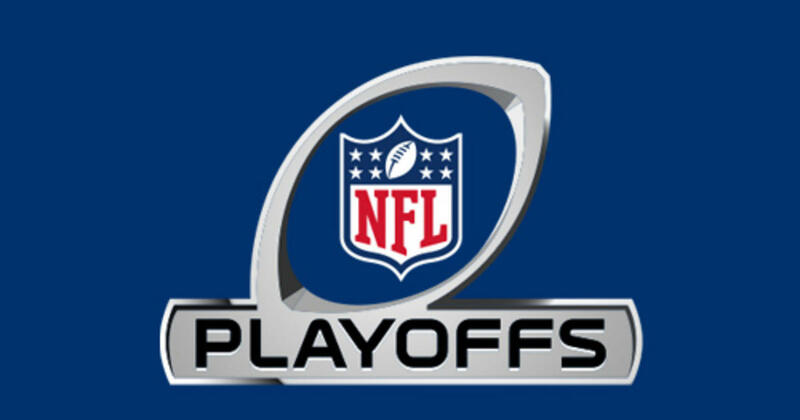 All EIGHT teams will be in action next week in the divisional round of the playoffs trying to get ONE game CLOSER to lifting the Lombardi Trophy. The FIRST game on Wild Card Weekend was the Titans at the Chiefs, in the time slot that traditionally has the WORST game of the playoffs. This game was definitely NOT the WORST game of this playoffs, in fact it might one of the best when it all set and done. The Chiefs jumped to an EIGHTEEN point lead at Halftime in front of their home crowd, but quarterback Marcus Mariota led the Titans all the way back to WIN the game. The play that started the COMEBACK for the Titans was ONE of the CRAZIEST plays I have ever seen and that built some MOMENTUM for the Titans. The Titans will now face the Pats in New England on Saturday Night. Even though the Pats were on Bye this week, they were still in the news making headlines. The Pats will look to SILENCE their haters by starting the journey to their SIXTH Super Bowl in the last TWENTY years with a WIN over the Titans. The Pats are much better than the Titans and will be HEAVILY favored in that game. The Second game of Wild Card weekend was between the Falcons and the Rams in Los Angeles. This was the first playoff game in LA in a LONG time and the Rams were looking to WIN in front of their HOME crowd, but they were KILLED by their Special Teams. All Pro Returner Pharoh Cooper had MULTIPLE fumbles early in the game and that set the TONE for the rest of the game. The Rams had one of the BEST offenses in the Regular Season but it was no match for the Falcons defense. The Falcons came so CLOSE to WINNING the Super Bowl last season and are now just TWO wins away from getting back there. The Falcons will now travel to Philadelphia to play the Eagles next Saturday in the divisional round. Despite being the number ONE seed in the NFC and being at HOME, the Eagles are the UNDERDOG in this game. NOBODY has faith in backup quarterback Nick Foles to lead the Eagles to WINNING their FIRST Super Bowl in franchise history. The Bills and the Jags faced off in Jacksonville today in a game that NO ONE had predicted would happen in the preseason. The Bills ENDED a SEVENTEEN playoff drought and the Jags had their first HOME playoff game in SEVENTEEN years. There was so much attention to the PREGAME festivities as the Bills Mafia were going crazy in the parking lot, something that the City of Jacksonville was not ready for. Out of State residents were NOT allowed to buy tables in the City of Jacksonville, but the Bills Mafia brought their OWN tables from Buffalo and had a JOLLY time, before losing an UGLY game. The final score in the game was 10-3 Jags, yeah it was that bad. The Jags will be taking on the Steelers in Pittsburgh on Sunday, a team that have ALREADY beaten once this season. The Jags offense really STRUGGLED today and the Steelers will get back wide receiver Antonio Brown for that game, so the Steelers should be HEAVY favorites in that game. The Jags have had an IMPROBABLE run thus far this season and I would LOVE for it to continue. The LAST game of Wild Card weekend was a divisional matchup between the Panthers and the Saints in New Orleans. These two teams played each other TWICE during the Regular Season and the Saints WON both times. The Saints continued their DOMINANCE over the Divisional Rivals with a WIN today and they now advance to the divisional round to face the Vikings. The Panthers offense did not get going early in the game, but it found its STRIDE and had a chance to WIN the game late but could not get that BIG play in the FOURTH quarter. The Saints and the Vikings will play each other in Minnesota next Sunday in a game that could either way. The Vikings’ starting quarterback Case Keenum is having an OTHERWORLDLY season, can that continue in the Playoffs or will he return to his AVERAGE self as PAST history dictates. These TWO teams faced each other in Week ONE of the season with the Vikings WINNING at HOME. A LOT has changed for BOTH teams since that game, so it should set up for an interesting game to close out the Divisional round of the playoffs. I will be releasing my picks for the Divisional Round on Friday, so be on the lookout for that if you want to make some MONEY.